Guinea is free to host international football matches for the first time in 17 months after being declared free of Ebola. On Monday, the Confederation of African Football (Caf) lifted a ban that was imposed in August 2014. "Caf has learned with joy and relief the announcement by the World Health Organization (WHO) on 29 December, officially confirming that Guinea is now declared Ebola free," the African body said in a letter. "Caf thereby confirms lifting the ban on the organization of continental matches in Guinea, and for all competitions organized by Caf." The letter, which was signed by Caf General Secretary Hicham El Amrani, was addressed to Guinea Football Federation president Salifou Camara. 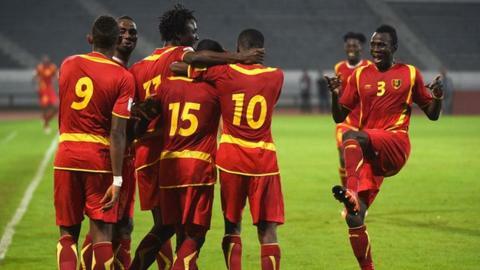 It means Guinea will be able to play Malawi in Conakry in March as part of the qualifiers for the 2017 Africa Cup of Nations. The Ebola outbreak, which started two years ago, killed more than 2,500 people in Guinea, and a further 9,000 in neighbouring Liberia and Sierra Leone. Both the previous countries were also hit by bans on hosting international and continental matches during their outbreaks. Sierra Leone's ban was lifted last month after also being imposed in August 2014. Meanwhile, Liberia were cleared to host matches in May after being banned in July 2015. The three affected nations were forced to play designated home matches in neutral territories during the Caf ban, with Guinea often playing in Morocco.